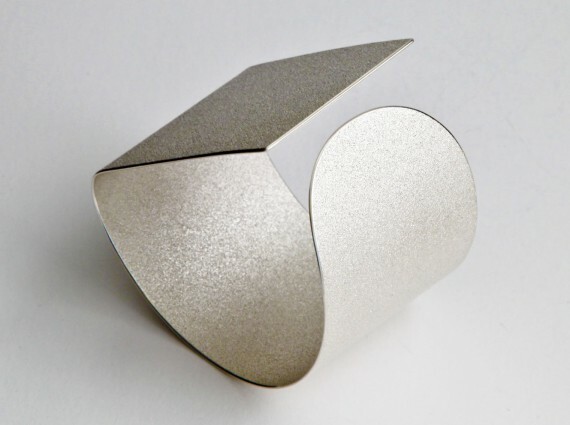 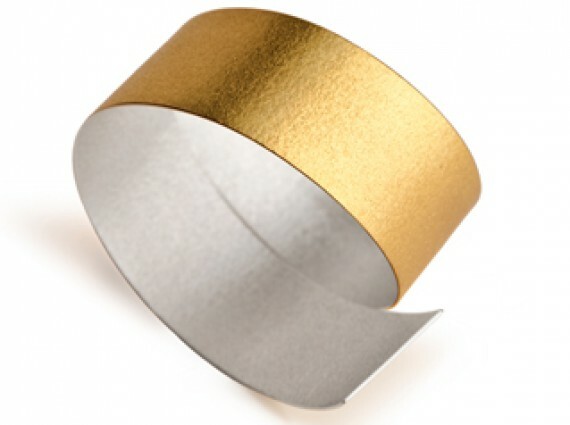 London-based artist-jeweller Ute Decker (Germany, b. 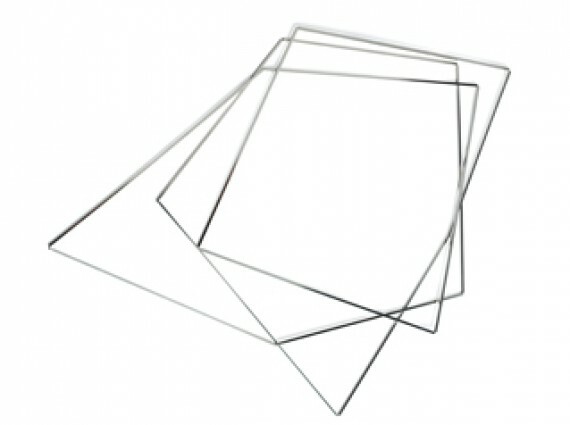 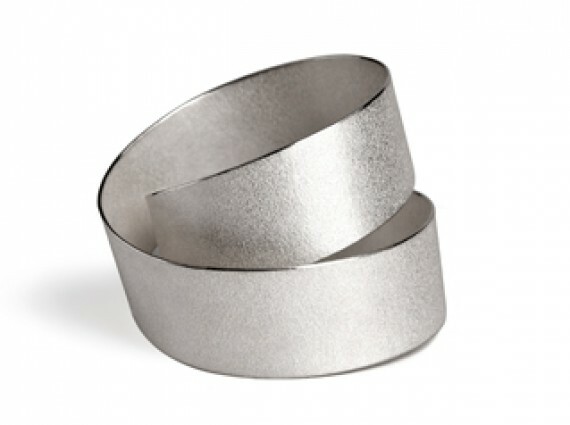 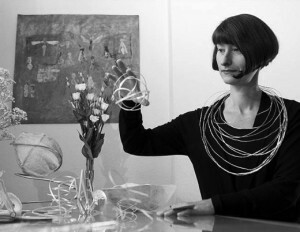 1969) is best known for her minimalist yet bold sculptural jewellery art. 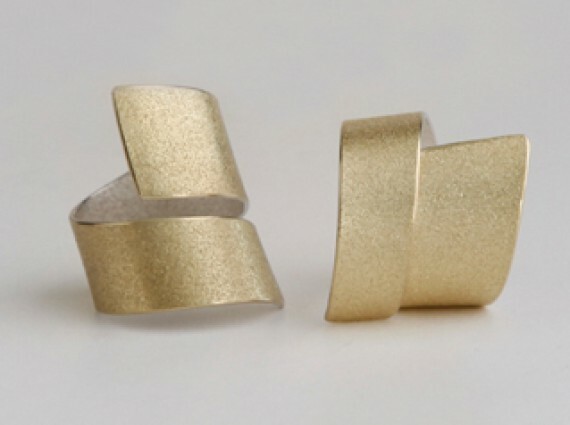 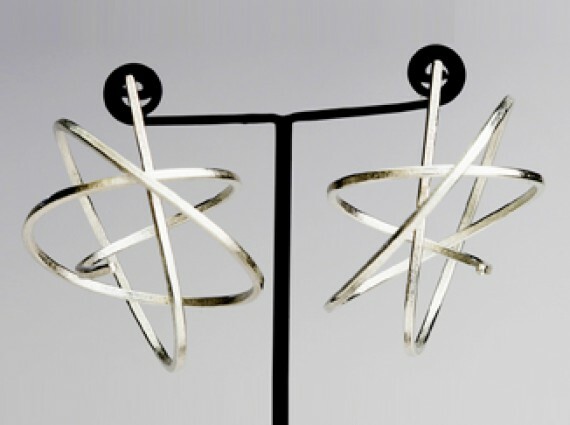 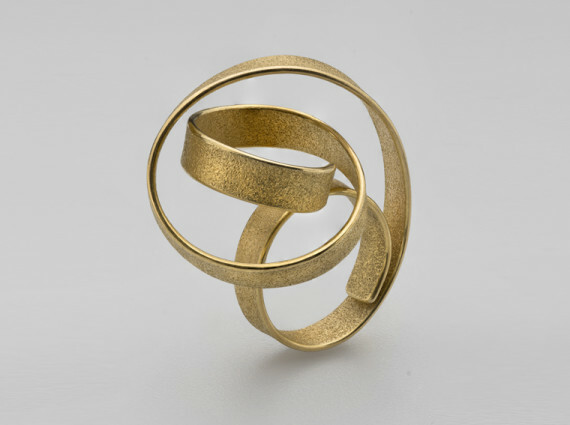 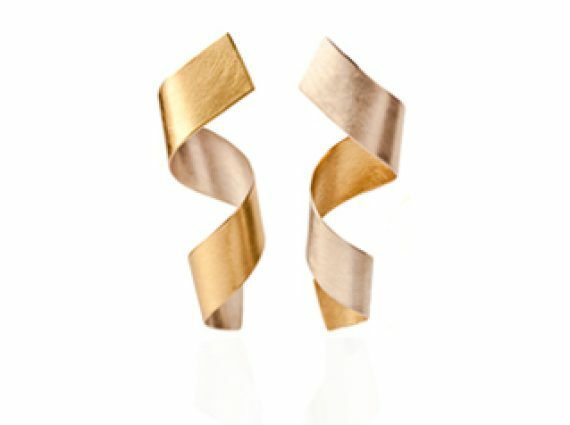 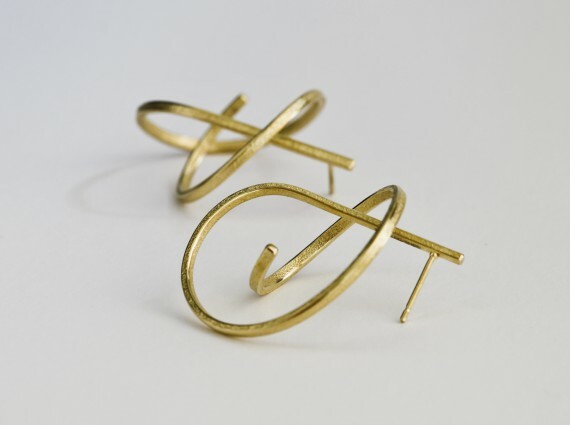 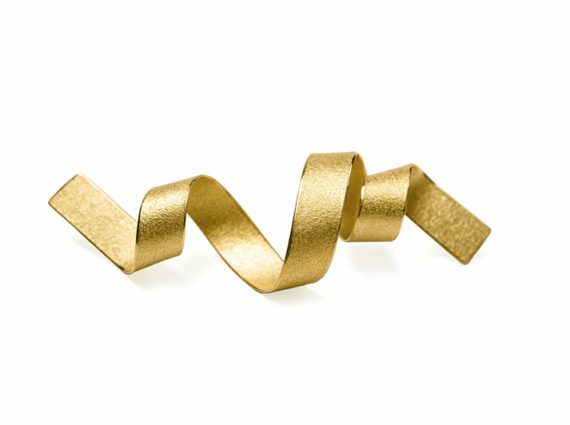 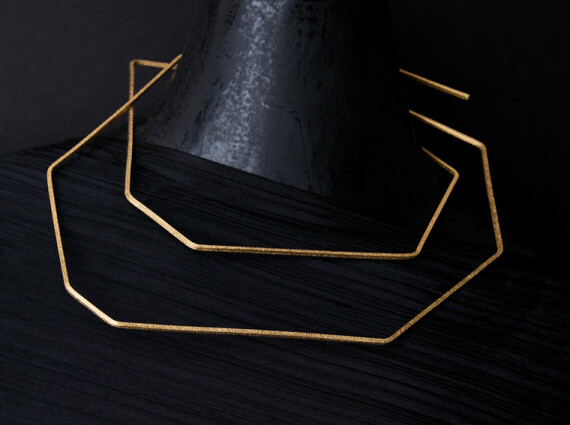 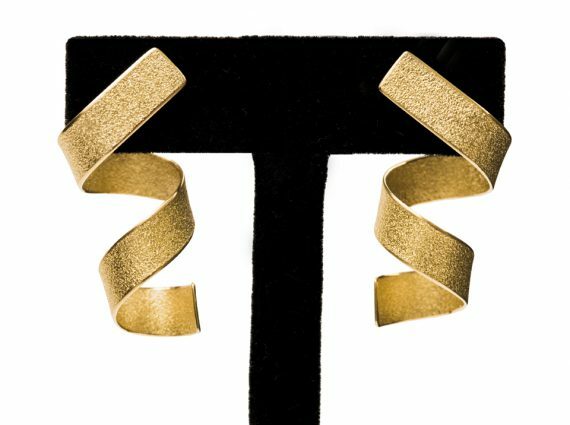 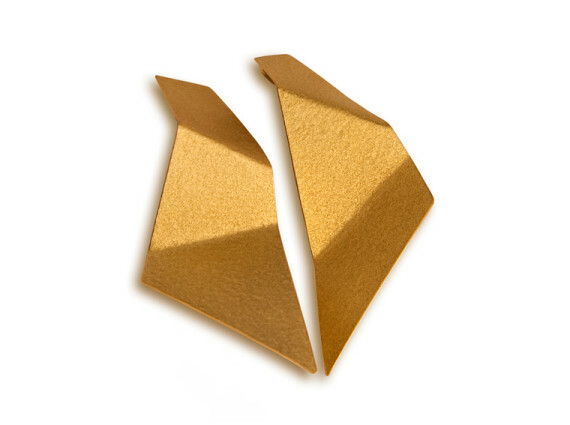 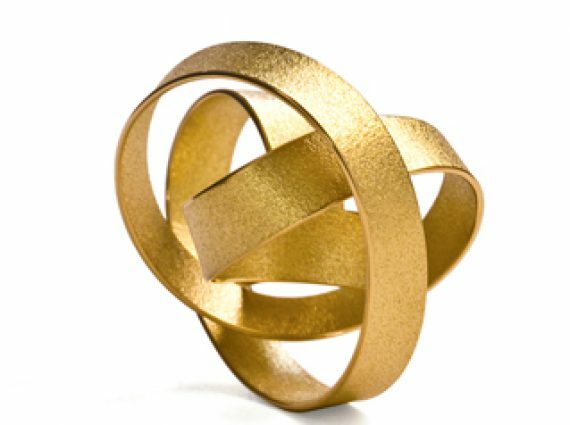 Her innovative method of sculpting, bending, and twisting gold and silver to create a powerful and expressive three-dimensional “geometric poetry” caused a considerable stir when they erupted onto the jewellery scene in 2009 quickly making her unique and limited edition pieces eminently collectable. 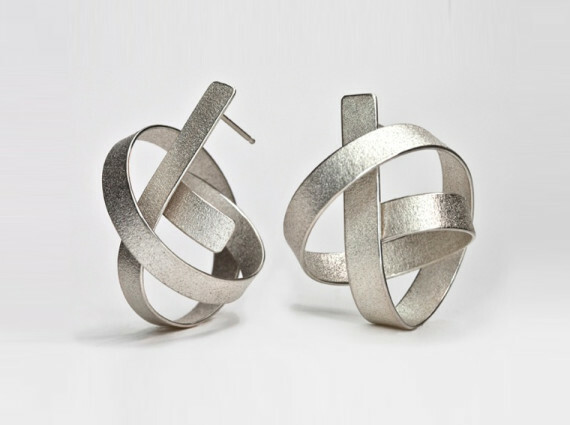 With influences as diverse as tribal art to the minimalism of Zen philosophy, her use of essential shapes, clean lines, exquisite surface textures and the treatment of empty space give her work a powerful presence. 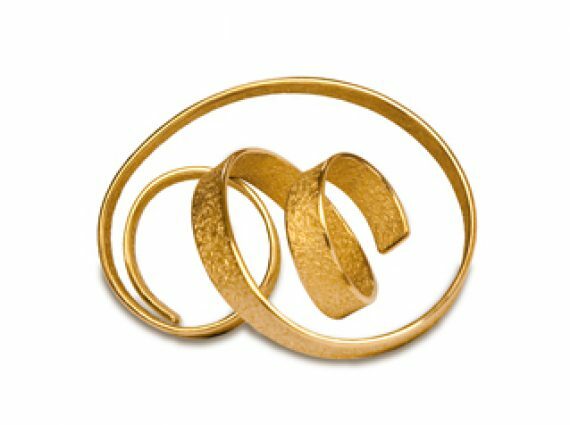 As a political economist-turned-journalist-turned-jeweller, Ute has become a pioneer of the international sustainable jewellery movement and one of the first worldwide to work in Fairtrade gold. 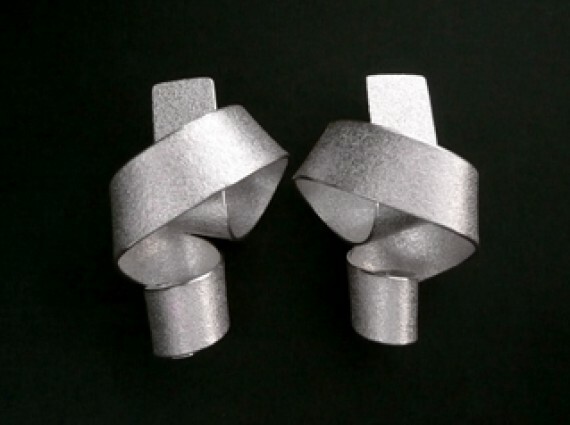 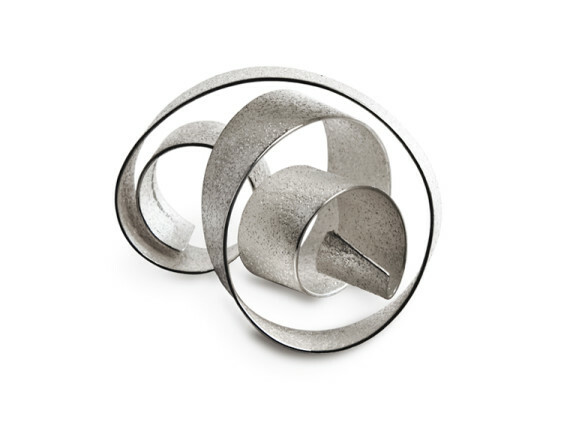 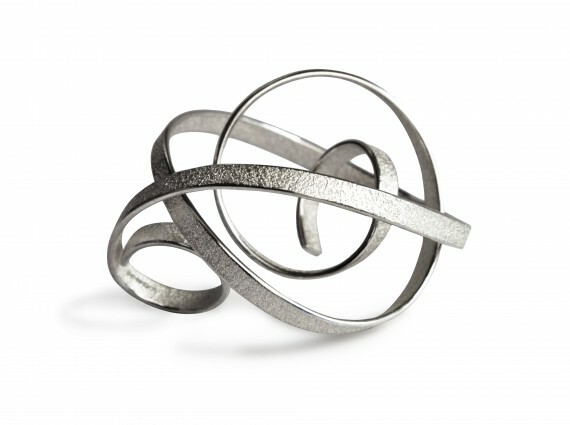 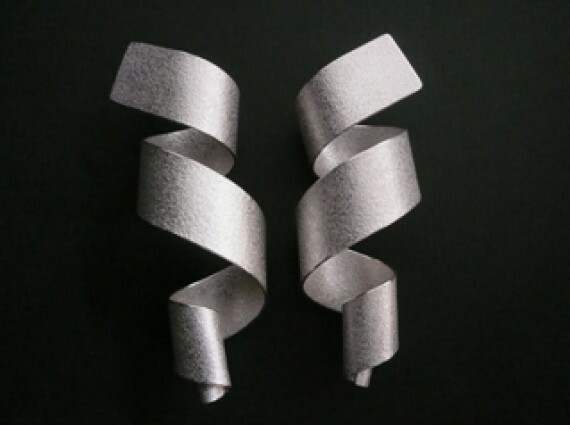 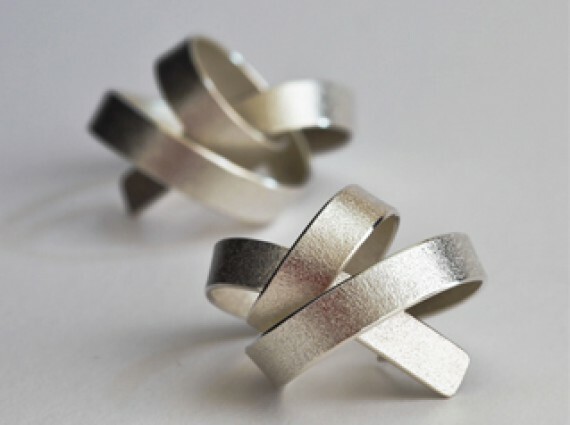 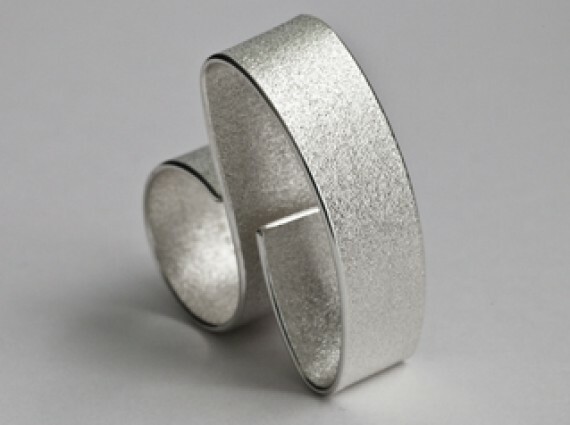 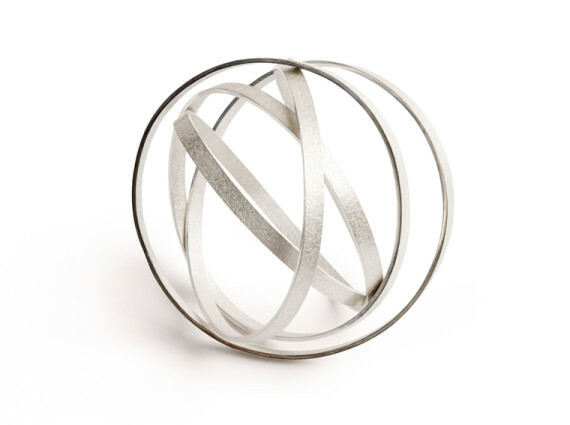 Described as “the architectural jeweller”, her jewellery practice draws from her experience in other mediums such as sculpture, textiles, paper and ceramics. 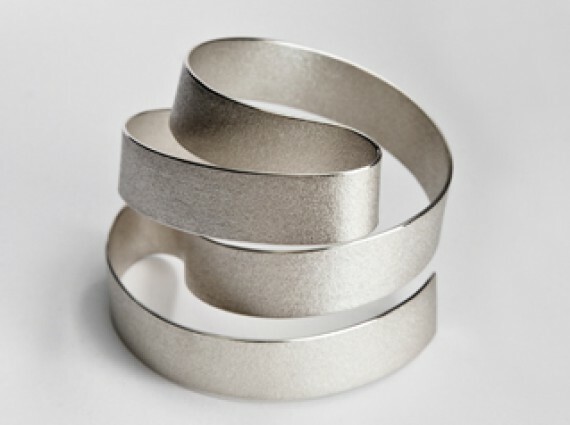 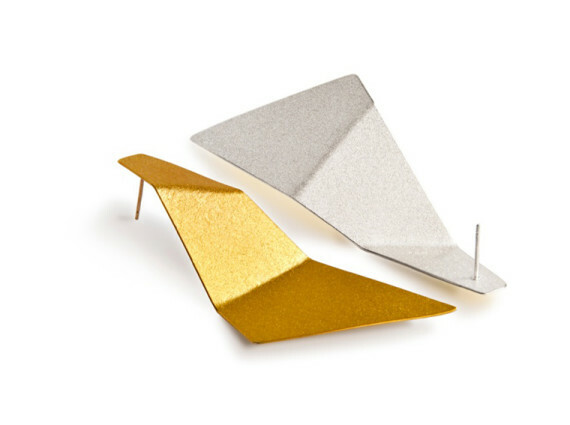 In her large-scale as well as her wearable works, Ute choreographs architectural lines and dynamic curvatures into evocative sculptures making the jewellery pieces of Ute Decker equally engaging displayed on a plinth as they are on the body.